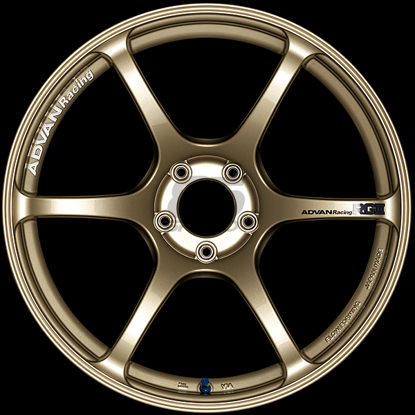 Advan Racing RG-D2. Flow Forming technology. Machining and Black Gunmetallic. 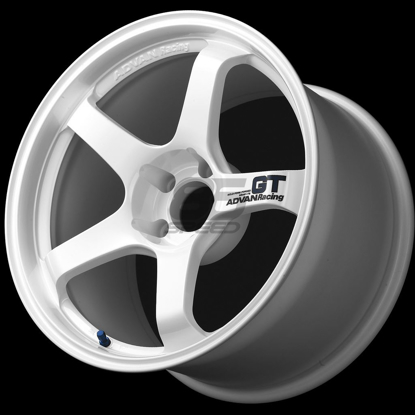 Simple 6-spoke face design. 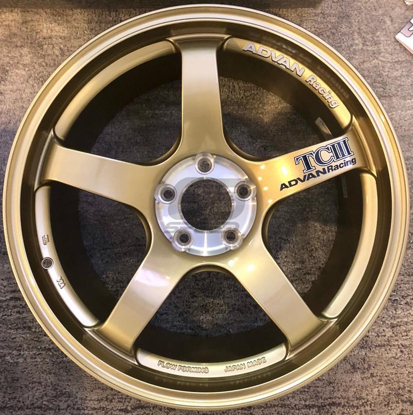 ADVAN Racing FLOW FORMING JAPAN MADE logos are printed on the step of the rims by a thermal-transfer method, so everyone can tell these are ADVAN Racing wheels. 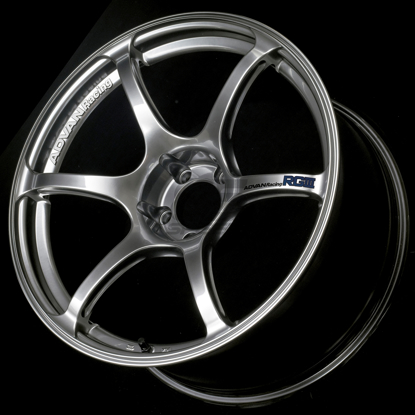 The spokes are side cut on both sides, using the “advanced side cut” process. 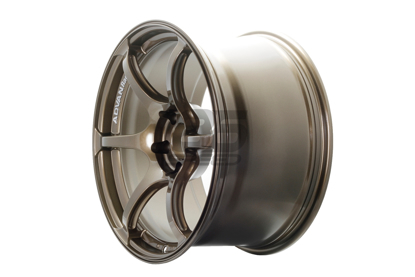 These 18-inch wheels have the racing rim profile necessary for 18-inch wheels to accommodate brake systems with rotor sizes of up to 400mm diameter. 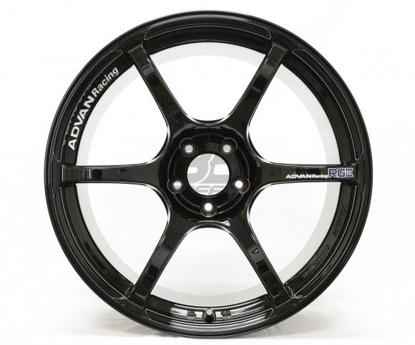 The six spokes that are a tradition of the RG design have side cut machining in accordance with the latest ADVAN Racing technology trend, and advanced side cut swoops between two spokes with no join. 5 spoke wheel. Cast construction. Concave design. Bronze. 5 spoke wheel. Cast construction. Concave design. 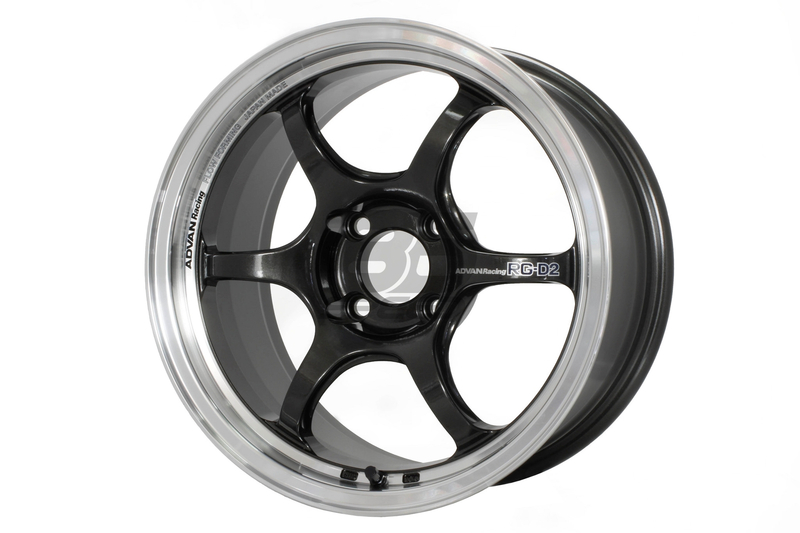 5 spoke wheel. Cast construction. 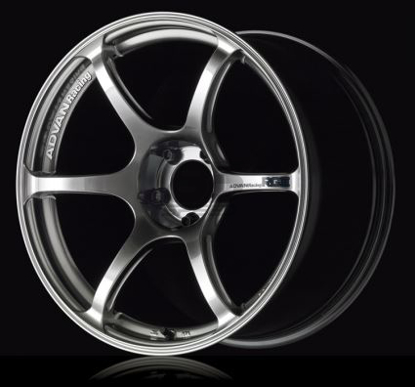 Concave design. 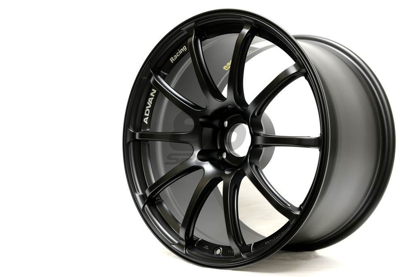 Dark Gunmetal.